> the 3rd millennium BC? Why would they both not be built in the 3rd millennium then? Several decades if not a century or two may have passed between the two phases. To refresh our memories of the context: Menkaure's Sarcophagus Revisited. 1) The interior of G3 is radically different than any pyramid before or after. 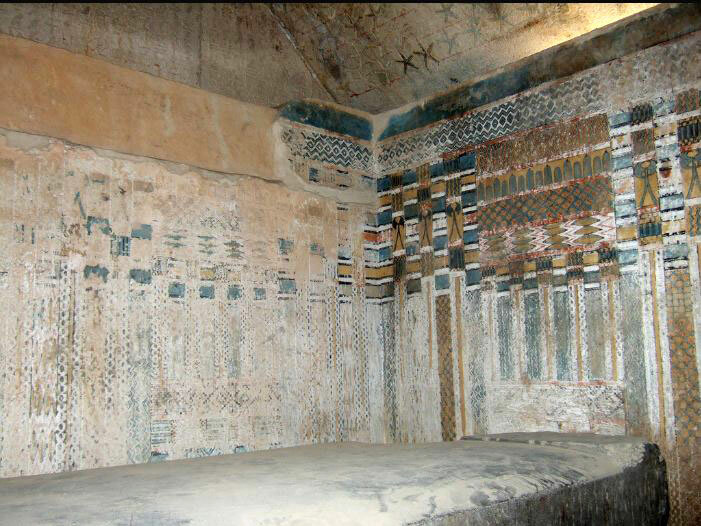 3) Though commonly found in mastabas, it is the only pyramid containing a sarcophagus with artistic elements, namely the serekh building, until the 6th Dynasty. I have yet to figure out what this means but I know it is significant and a very important to key to understanding when and who built these pyramids. 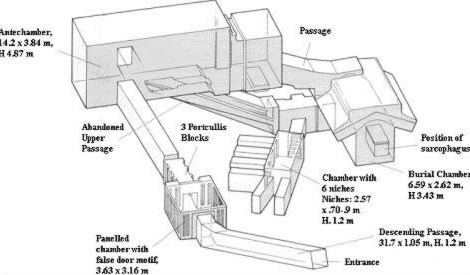 1) The workers town and harbor, which is not for the workers after all, have no evidence of Khufu, very scant evidence of Khafre, and a lot of Menkaure. Lehner says they were built towards the end of Menkaure's reign and abandoned in the 5th Dynasty. 2) The workers cemetery has no 4th Dynasty burials-they are all 5th Dynasty. They don't even mention Khufu, Khafre, or Menkaure. The only pharaoh named is Djedkare Isesi, 2nd to last pharaoh of the 5th Dynasty before Unas, who ruled nearly a century after Menkaure. Despite being a 5th Dynasty cemetery, several titles are found related to working on the pyramids. 3) The overwhelming majority of burials at Giza, I think I calculated 78%, are from the 5th-6th Dynasties. 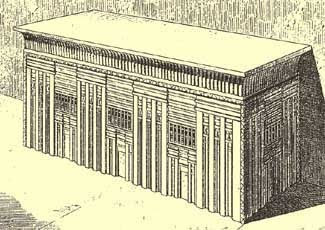 4) The pyramid kilt guild appears at the beginning of the 5th Dynasty. I have to leave for the day so I'll respond to the rest of your post later. I know you and others have much different opinions, but help a brother out and just just play the game-what are we really looking at here? There is circumstantial evidence Khufu was involved with G1 and bringing stone to Giza, no evidence of Khafre doing anything, and all the the things associated with pyramid work date to Menkaure, the overwhelming bulk of which is actually in the 5th Dynasty. What is this telling us?